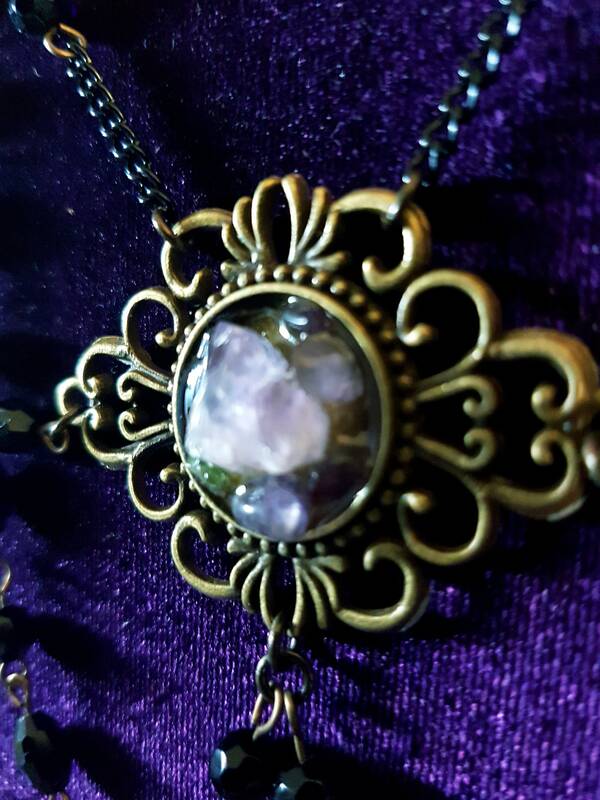 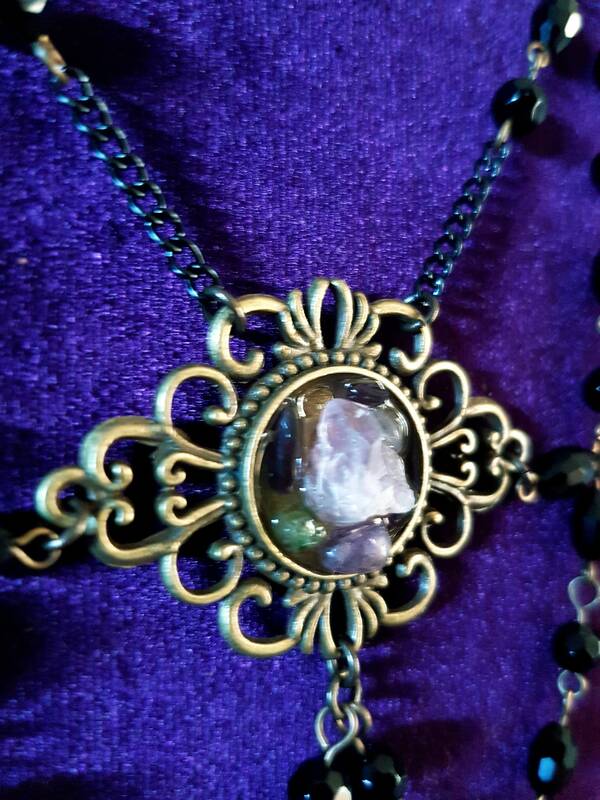 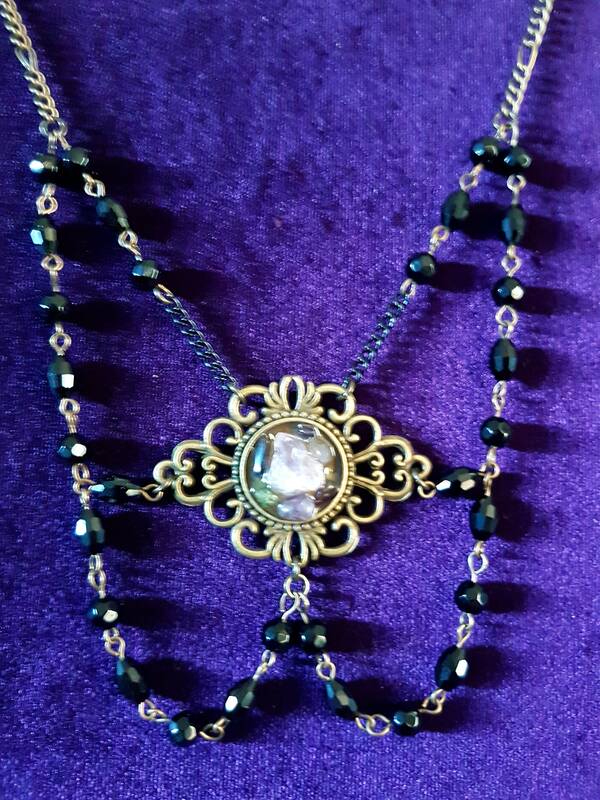 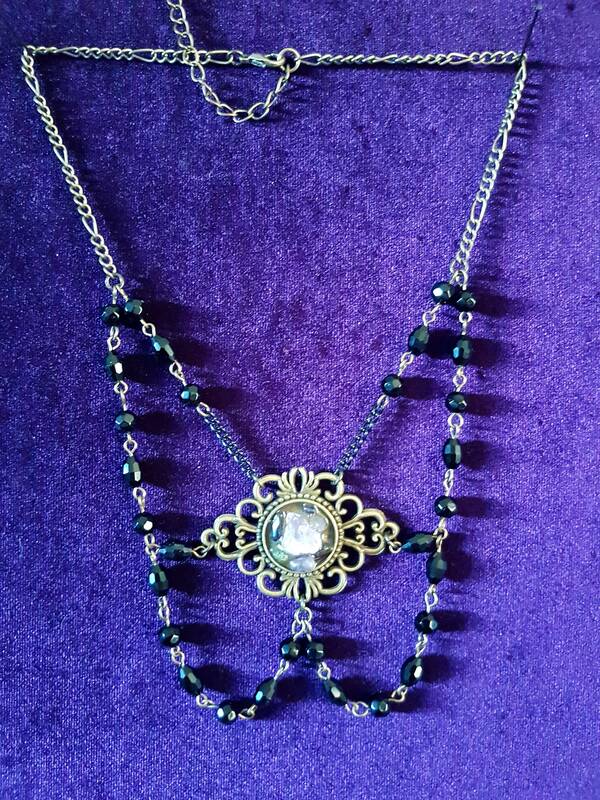 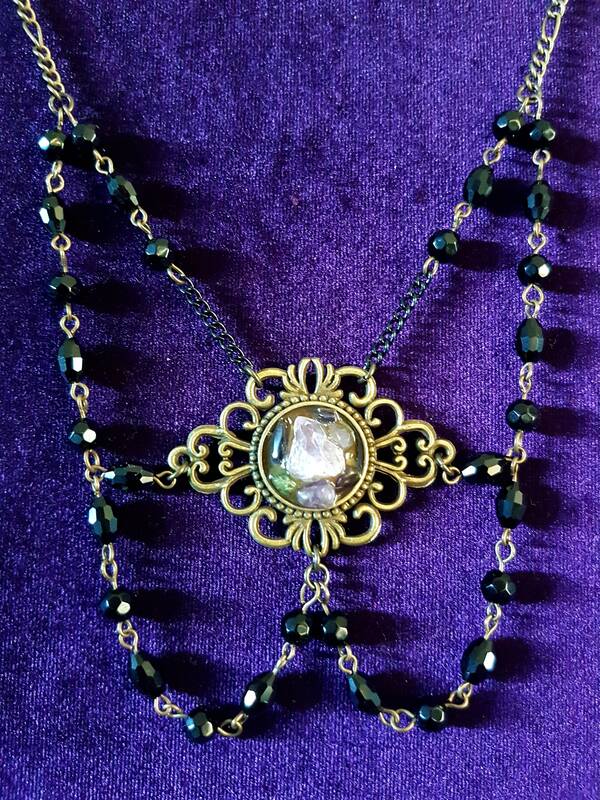 Beautiful handcrafted gothic victorian era necklace. 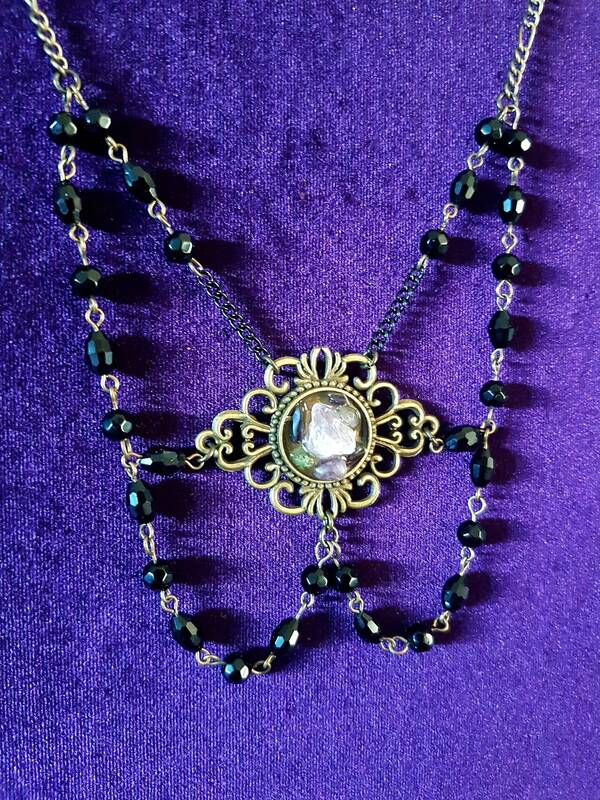 - 43cm figaro style chain + 5cm extension chain to adjust to your size. 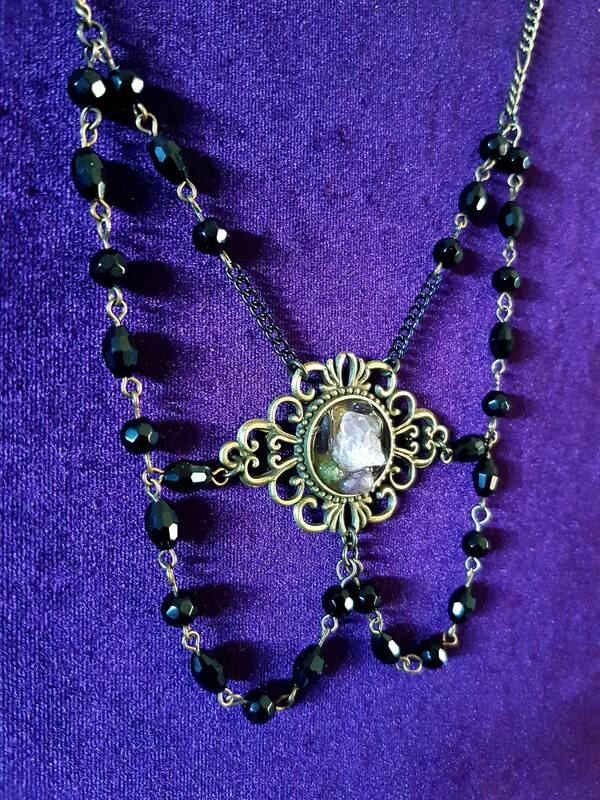 - Glossy elegant black beads. 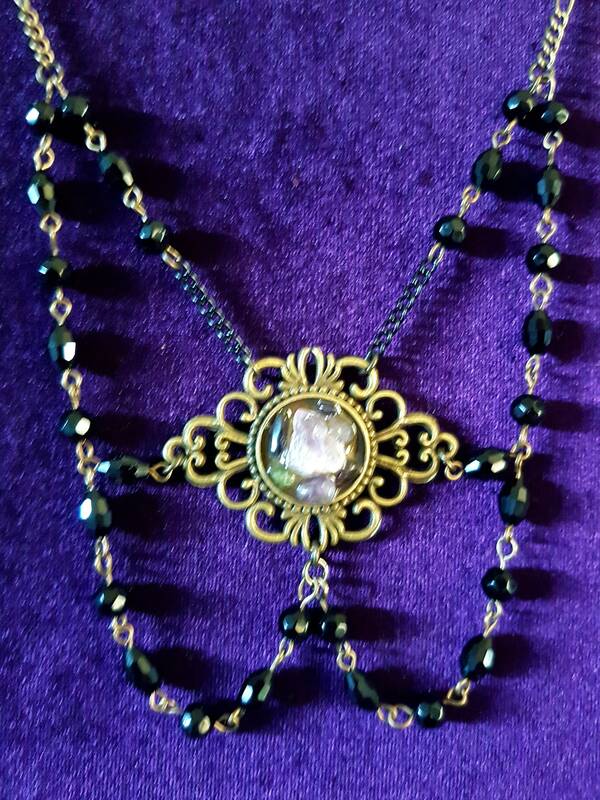 - Amethyst stone surrounded with smaller amethyst gemstone and peridotes.